Due to the many ways that basements flood, the variety of solutions on the market, and because of how important it is to be able to be insured that your basement stays a dry, usable space, basement waterproofing is best when done by a professional licensed contractor. At Frontier Basement Systems, our contractors specialize in the unique problems that below-grade spaces present. Our installations include a written, transferable warranty that will provide you with long-lasting peace of mind. To schedule a free, no cost, no-obligation basement waterproofing quote with one of our company's certified, trained, specialists, contact us by phone or e-mail today! 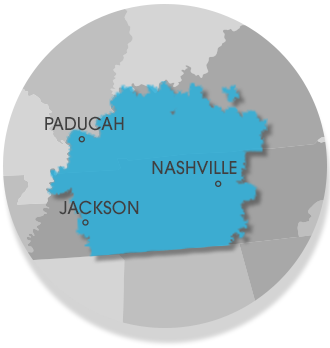 Our Tennessee and Kentucky service area includes Jackson, Nashville, Clarksville, Owensboro, Murfreesboro, Bowling Green, Philpot, Utica, Fayetteville, Marion, Leitchfield, Franklin, Mcminnville, Paducah, Shelbyville, Hartford, Antioch and many surrounding areas nearby.